The Department of English’s core values—which strongly affirm diversity and the pursuit of social justice—are incommensurable with the tenets of white supremacy, including the frequency with which its proponents threaten—and, indeed, often perpetrate—violent actions. We condemn such threats and actions to the strongest possible degree, for they are diametrically opposed to what we hold dearest: the well-reasoned and creative exchange of ideas and arguments based on honing and exercising our capacities for critical thinking and imaginative reasoning. For us as a community of teachers, writers, and scholars, such exchange of points of view is necessarily predicated on an unwavering affirmation of our shared right to freedom of speech and expression enshrined in the U.S. Constitution, as well as on the proud history of academic freedom that has long governed, by tradition, higher education in the U.S. However, while the constitutionally guaranteed right to freedom of speech and expression grants everyone the right to state their views, no matter how abhorrent those may be, those same rights, in our view, also hold us accountable to speak out in opposition to the very speech acts—and actions—that are precisely designed to intimidate, spread fear among, and terrorize our larger community and, in so doing, de facto deprive many of its members, including people of color and people from abroad, of the chance to exercise those constitutionally guaranteed rights. In this spirit, we therefore encourage everyone to consult the Southern Poverty Law Center’s guide for how to respond to hate. The English Department’s mission is deeply informed by a sense of social justice and unequivocal affirmation of diversity and inclusion; for this reason we want to reiterate our commitment to the LGBTQA community. Our department was among the first in the country to offer courses on gay and lesbian literature -- the Crompton-Noll Award, a national prize given by the Gay and Lesbian Caucus of the Modern Language Association, is named in honor of Louis Crompton, the UNL English professor and pioneer in LGBTQA scholarship. Today, our LGBTQA graduates are shaping the literary culture: emily danforth’s award-winning novel, The Miseducation of Cameron Post, has been adapted into a forthcoming film starring Chloë Grace Moretz; Nick White’s new novel, How to Survive a Summer, will be published by Penguin Random House in June; SJ Sindu’s novel, Marriage of a Thousand Lies, will also be out in June, from Soho Press. Crucially, the department has worked closely with the LGBTQA+ Resource Center. And we’re in the process of introducing an extended curriculum of LGBTQA study, as part of an undergraduate concentration. Because of this history of inclusion and our support of the rights and safety of our students, we installed gender inclusive bathrooms during the latest renovation of Andrews Hall. Our faculty is proud of our decades-long commitment to the intellectual development and professional guidance of our LGBTQA students, and our provision of safe spaces for learning in Andrews Hall. The Department of English unequivocally condemns the President’s executive order suspending immigrant and non-immigrant travel—including that of students and faculty—from Syria, Iraq, Iran, Libya, Somalia, Sudan, and Yemen. We reject prejudice based on religion, race, ethnicity, nationality, cultural characteristics, and social categories. As a department that values the ability to think “hypothetically about the world in all its diversity—the past, present, and future, the local and the global,” we join our colleagues in the Institute for Ethnic Studies at UNL (see their statement, which inspired ours) in opposing this action and do so not only because it creates undue hardships for people from those countries but also because it decreases the array of voices from across the globe in our community. This executive order directly contradicts the very goal any institution of higher education should claim for itself: namely, the pursuit of knowledge based on a free, open, and borderless exchange of ideas with people from all cultures and all places around the world. The mission of the Department of English is to foster an education in imaginative reasoning. We aim to uphold a number of core values, including the affirmation of diversity, the pursuit of social justice, empathetic understanding, the desire to create a sense of belonging for all, and a commitment to civic engagement. In this context, we are alarmed to see that the recent actions taken by the Trump administration seem to be lacking in both sound reasoning and the ability to imagine the lives of others—especially but not exclusively those living under precarious circumstances—without a modicum of empathy. Grounded in our core values of affirming diversity, engaging with a broad array of communities based on empathetic understanding, pursuing social justice, fostering a sense of belonging, and instilling the desire for civic engagement, the Department of English unequivocally condemns all racist, Islamophobic, xenophobic, homophobic, sexist, and other hate speech and acts. Our department was among the first in the nation to offer gay and lesbian literature courses, and we are proud to have a long tradition of collaborating with and supporting the work done by UNL’s Women’s and Gender Studies Program and the LGBTQA Research Center; likewise, we proudly embrace our long tradition of closely working with the Institute for Ethnic Studies. We therefore reject any action that, intentionally or not, contributes to the creation of a climate of fear, hostility, and suspicion of our neighbors; and we condemn harassment of all kinds. Striving to offer an education in imaginative reasoning, the Department of English affirms the imagination as the capacity that is best equipped to help us think about the world in all its diversity. An agile imagination is crucial for our ability to envision the world we want to live in and then take action, based on a well-developed sense of ethics and social justice, to make that vision a reality. A core aspect of what we do is therefore also to imagine, and help others imagine, how people feel when they are attacked—verbally or physically—for who they are. 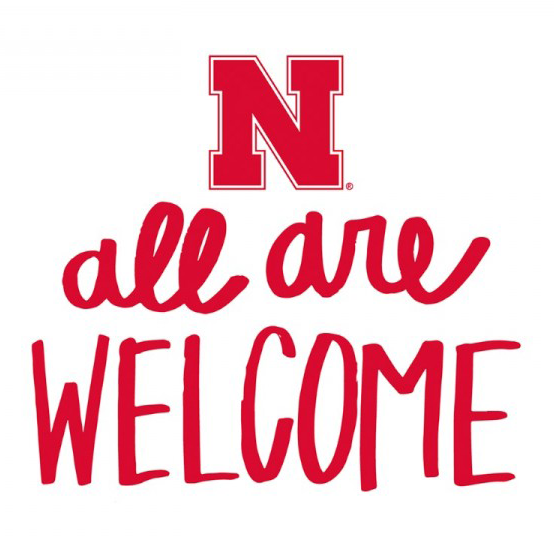 This is why we unambiguously offer our support and solidarity to all students, staff, and faculty of color and other minorities on the University of Nebraska campus. In accordance with our core values—including, importantly, affirming diversity, pursuing social justice, fostering a sense of belonging, and instilling a desire for civic engagement—the Department of English at the University of Nebraska-Lincoln expresses its complete and unequivocal support for Husker athletes DaiShon Neal, Michael Rose-Ivey, and Mohamed Barry, who took a knee during the playing of the national anthem at the Northwestern game, and for all other athletes who choose to do so in the future.